I am very new to babywearing, but stumbled upon it about a month ago, and have been hooked ever since. I am by no means a pro and sometimes end up sweating with a crying baby as I try for the fifth time to get Gavin wrapped and sturdy so I feel comfortable letting go with my hands. Our wearing began with the Bjorn, which through research has proven to not be the best for your little one. Then, we tried the Ergo, which is way to bulky for me. I have a ring sling which I am also not a 100% fan of, it kind of limits what you can do with reaching your arms (at least from my experience) Next, came the Mai Tei…in which I ended up sewing my own. This was working the best, but I still felt like it wasn’t the perfect way to wear Gavin for me. I began really looking at the Wraps and wanted to try them out. 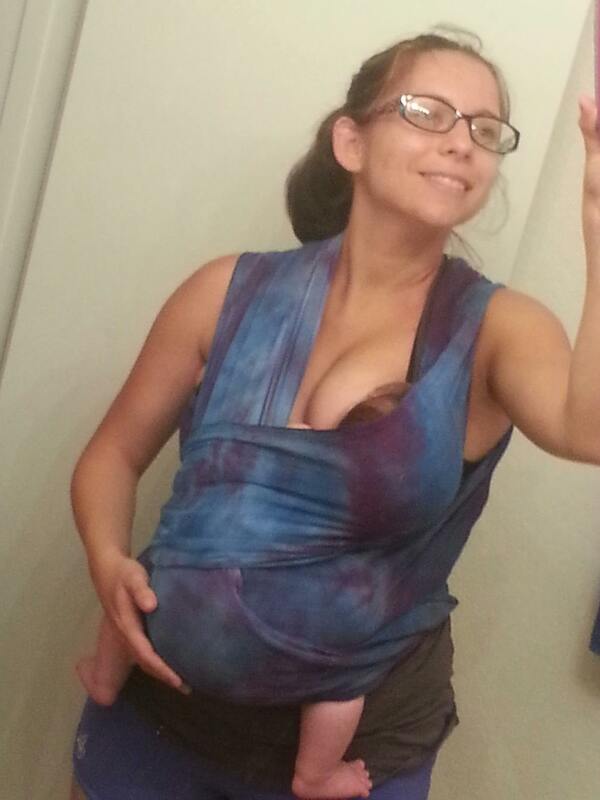 I joined a Babywearing group for Orlando Mom’s on Facebook…O-Town SlingersYeah and went to a meeting. There, you are able to try on different wraps, they help you wrap correctly and you get to socialize with other Momma’s. Besides it being my first time at a Mommy group where I was terribly overwhelmed by all the noise, kids, Mom’s and chaos in one room, I had to step out of the room for a bit. Babywearing is HUGE. I had absolutely no idea. There are so many companies in which the Babywearing Momma’s purchase from; they also buy/sell and trade on Mommy Groups. Some of the amazing on-demand woven wraps are by Girasol, Didymos, Easycare, Kokadi, Natibaby, Wrapsody, Zara. These wraps run anywhere from $100-$500. $500 you say, what??!! 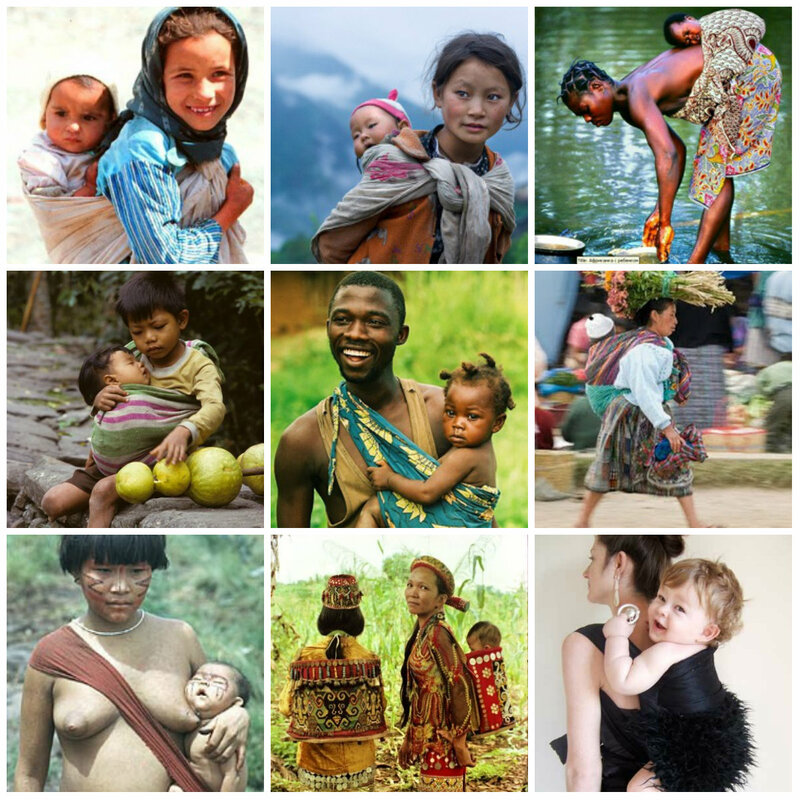 Here is a great blog explaining the Economics of Babywearing. I bought 1 Didymos, a size 5 Didymos INDIA Crimson-Hemp. I am not sure how much I love it. It is thick and hard to wrap (but oh so beautiful). It may find itself back on the swap so I can experiment with other brands that are easier to wrap and lighter in material. I am really lovin on this Zara Sun. Maybe in a size 3 or 4. I think it is a beauty. If you are new to babywearing, Babywearing Faith on Youtube has a ton of tutorials. Babywearing 102 on Pinterest has tutorials, images of the different wraps and a ton of other resources. So far, my favorite wrap was one I found on Etsy. Shawna, the owner of LilPipsqueeks has customized two wraps for me. The purple on is one she made. The other is still in the mail on its way here (Hint: The colors resemble a orange sherbert creamcicle) I still only feel comfortable wrapping on the front and only with the Kangaroo Carry or Front Wrap Cross Carry FWCC. I am not really an expert on either, but am practicing every day. I’ve been stopped quite a few times in the store and Mom’s ask me about my wrap. I think it is pretty cool! Wrapping makes it so much easier to clean the house or do chores, go grocery shopping, eat out and be in public and be hands free knowing that little munshki is safe and comfortable. We did order one other wrap, it’s for Adam. It is called a BityBean. It too is on its way in the mail. It is much more manly, easy to wear and perfect for the hansome hubster. There is also a huge amount of Mom’s who DIY, believe it or not, there is also a facebook group dedicated to it, Babywearing DIY. I have seen some very awesome carriers, but don’t have permission to post their pictures (hint, think Monster’s Inc., Halloween Costumes, etc) There are also a ton of free patterns and tutorials out there for RingSlings and Mai Tei’s. Mothers’ oxytocin is increased through physical contact with the infant, leading to a more intimate maternal bond, easier breastfeeding and better care, thus lowering the incidence of postpartum depression and psychosomatic illness in the mother; similarly, the father carrying the baby has benefits for the paternal bond. 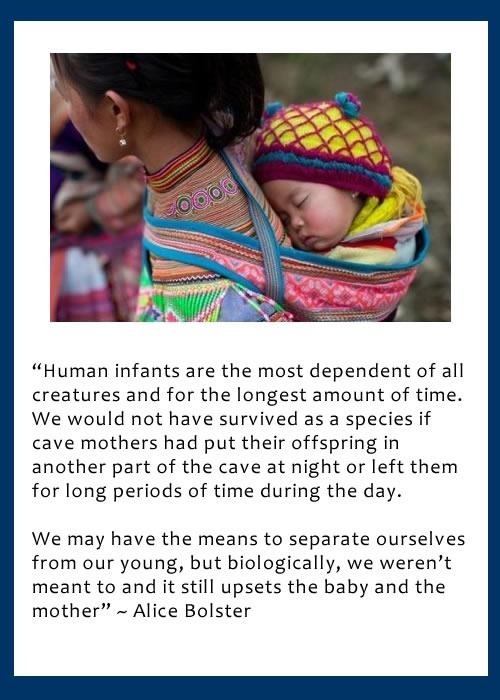 Are you a babywearer? Which wrap/ carry/ style do you like the most? You need an option for more than one 🙂 hehe.. I wrap and use ssc’s and use rs with littles.